I invented Mean Monster one night when CJ’s bedtime had gone off the rails. Mean Monster burst into the room. “You may not go to sleep!” he bellowed. 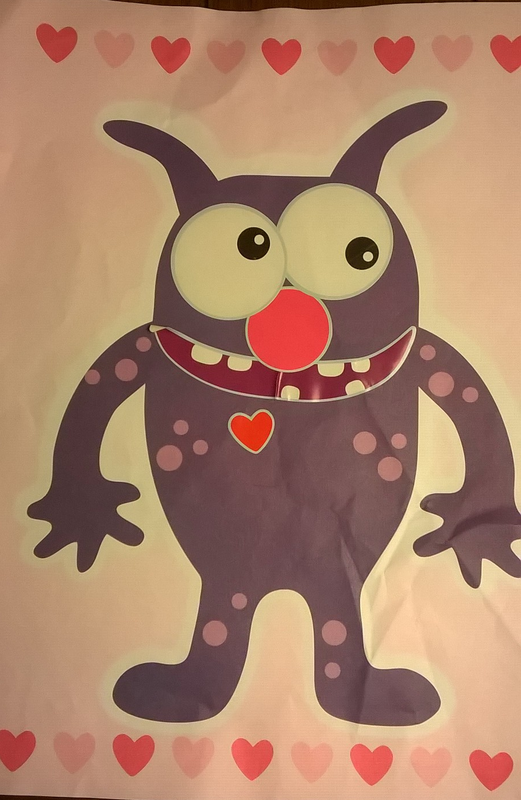 Mean Monster protested, but was soon forced out of the room by his arch-nemesis, Nice Bedtime Monster. CJ asked for Mean Monster the next morning when she woke up. “Stay in bed!” he growled, poking her belly with a claw. “Whatever you do, do not get dressed!” CJ quickly changed into her school uniform, even pulling on shoes and socks without being asked. “Stay in your room all day!” he said. “You may not eat breakfast!” CJ ran to the kitchen and scarfed her scrambled eggs. She grinned at Mean Monster, defiantly. “Is he scary?” I asked. Last summer we took a little vacation in the mountains of North Carolina. We took a redeye flight and got off the plane exhausted. Checking into the hotel took too long and CJ didn’t get her lunch at the usual time. It was one of those days when no one is having as good a time as by rights they ought to be. I turned toward her with a jolt of recognition. “Who are you?” I asked. “Baby Mean Monster,” she said. CJ Kingfisher, Portrait of Mean Monster. 2014. Medium: Stickers and paper.